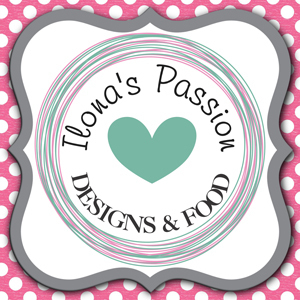 Party Food Blogger - Designer of Printable Party Invitations, Cards and Decorations. 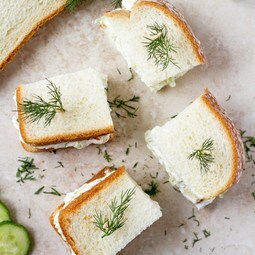 Quick and easy mini cucumber sandwiches with cream cheese and dill. A perfect vegetarian finger sandwiches appetizer for a crowd. Easy challah french toast recipe made with plant based milk and eggs. 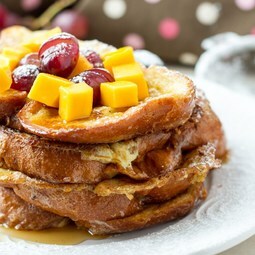 No milk french toast will be perfect for brunch or breakfast. 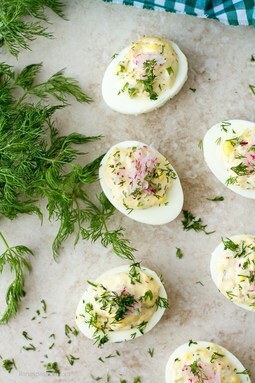 Perfect hard boiled eggs stuffed with mayonnaise, dill, radishes and green onions great for Easter brunch. Mayonnaise eggs are great for party appetizer. 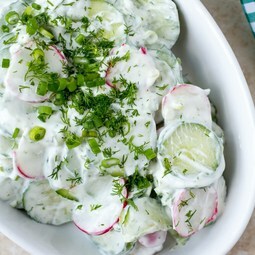 Easy creamy cucumber salad made without mayo, vinegar and sugar. Healthy quick cucumber salad served with dill greek yougurt and radishes. 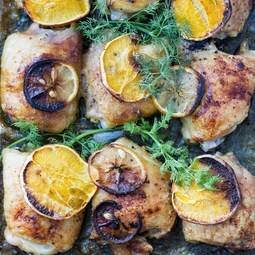 Sheet pan chicken thighs marinated in citrus blend, salt and butter. Tasty lemon pepper chicken thighs recipe perfect for weeknight dinner or entertaining. 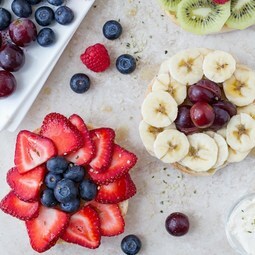 Simple and fun open faced afternoon tea sandwiches made with english muffin, veggies and fruits. Flowers and bunnies easy party sandwiches for kids. Step by step on how to make crockpot chicken fajitas recipe. 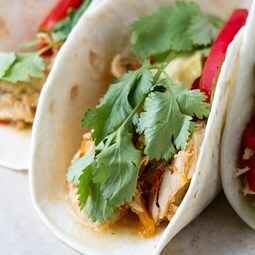 Healthy and simple chicken fajitas made in slow cooker served with avocado and cilantro. 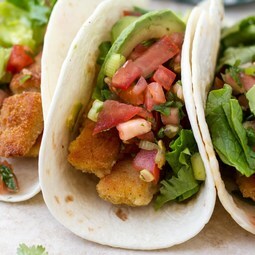 Quick and easy fish tacos served with tomato salsa, lettuce and cilantro. Perfect for dinner parties or entertaining fried fish tacos are crispy. Green sweet french crepes filled with farmer's cheese and mango. 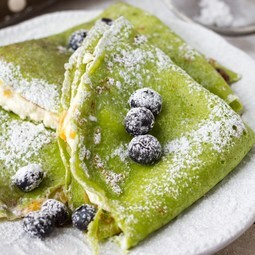 These mango crepes are made in color green using spinach. 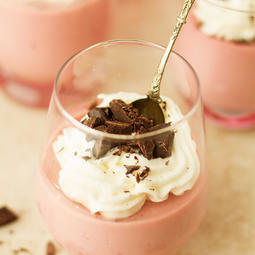 A dessert for St. Patrick's Day. 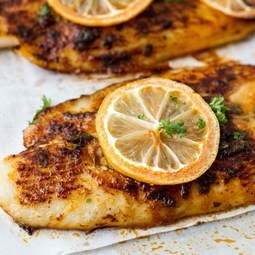 Healthy oven baked basa fish fillets with sweet paprika and basil. Easy and quick to make nutritious basa fish recipe perfect for dinner. 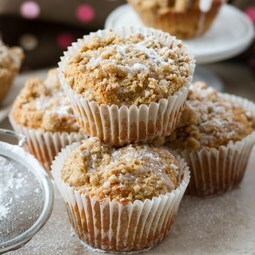 Healthier greek yogurt cinnamon coffee cake muffins recipe with brown sugar streusel topping. Delicious cinnamon coffee cake are great for brunch! 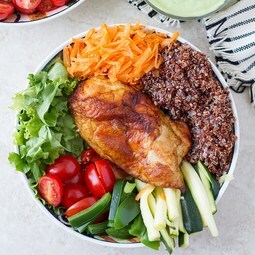 Chicken Buddha bowl with vegetables topped with dairy free creamy avocado dressing. Veggie bowl served with quinoa and homemade dressing. 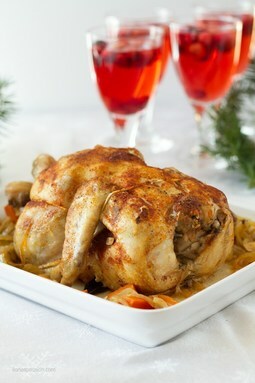 Crockpot whole chicken recipe with paprika and garlic. Slow cooker roast chicken is the best dinner idea for any day or holidays like Christmas. 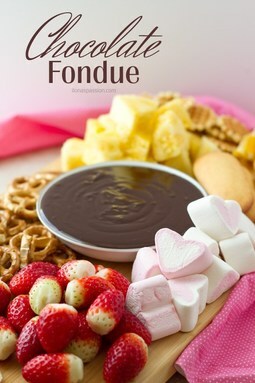 Chocolate fondue recipe with ideas for dippers including marshmallows and fruits. Easy to make homemade chocolate sauce for fondue. Easy to make vegan healthy chocolate truffles recipe made with walnuts, almonds and dates. 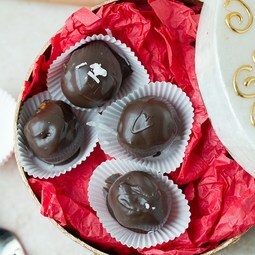 Homemade edible chocolate truffles gift idea. 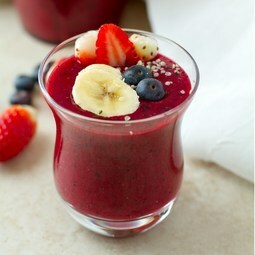 Healthy beet detox smoothie made with healthy ingredients strawberries, blueberries, banana and beetroot. 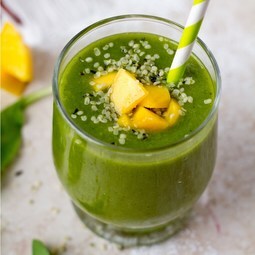 Perfect detox smoothie for breakfast or snack. Easy Appetizer for your party! 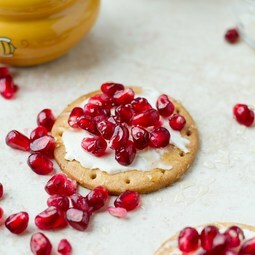 Cream cheese and crackers with pomegranate seeds topped and honey. 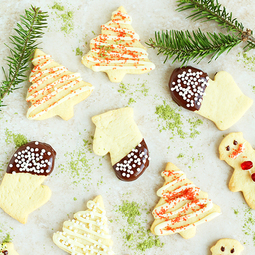 Simple and delicious party crackers with cream cheese. 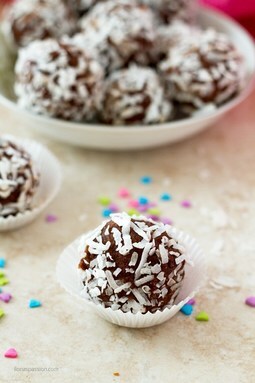 Healthy chocolate balls with dates, coconut, almonds and chia seeds are the perfect gift idea. 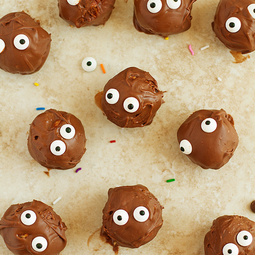 Chocolate energy balls are so easy to make! 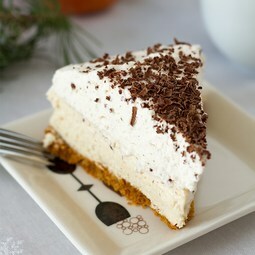 Silky baked eggnog cheesecake recipe with nutmeg whipped cream and graham cracker crust. The best homemade eggnog cheesecake for Christmas! Baked vegetarian stuffing casserole recipe with onions and carrots. 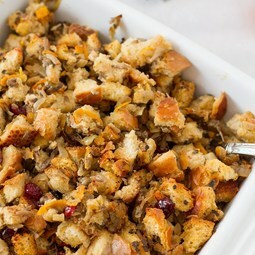 Cranberry stuffing made from scratch for Thanksgiving or Christmas. 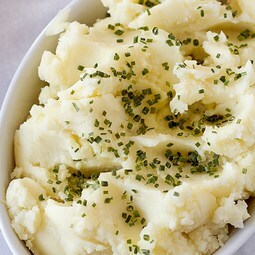 Homemade garlic mashed potatoes made with few simple ingredients that you have in your kitchen. Creamy mashed potatoes perfect for a crowd. Juicy chicken meatballs recipe are baked in the oven in only 30 minutes. 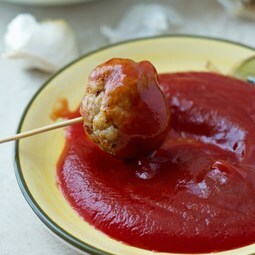 Seasoned with only salt and pepper this homemade meatballs are served with ketchup. Vegetarian mexican soup recipe made easily from scratch without salsa. 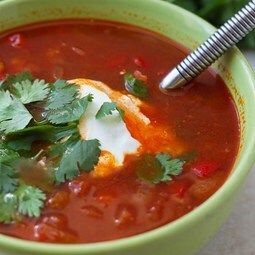 Mildly spicy, healthy black bean soup served with greek yogurt. 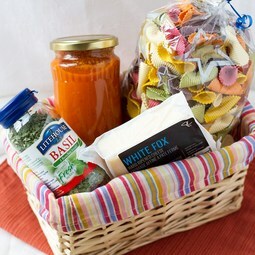 Basket gift idea with garlicky homemade tomato sauce, colorful pasta, dried basil and hard cheese. 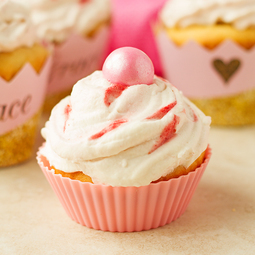 A beautiful edible present that anybody will love! 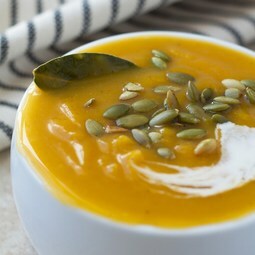 Easy to make healthy roasted butternut squash soup seasoned with cumin. Creamy soup simply made with baked butternut squash. Great for entertaining. 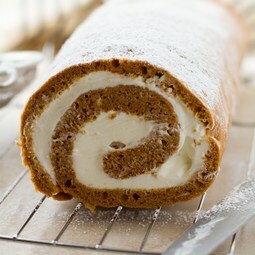 A very simple pumpkin roll cake recipe without cream cheese. 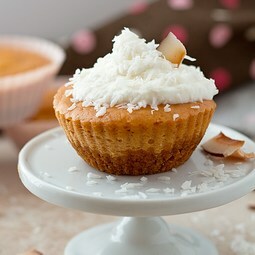 The filling for the roll cake includes whipped cream and mascarpone cheese. 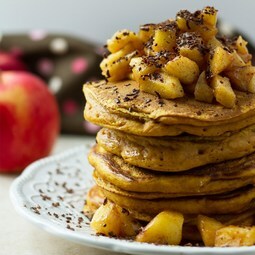 Fluffy and soft pumpkin pancakes with caramelized apples and cinnamon. Great buttermilk pancakes for brunch that your guests will love! Easy to make mini pumpkin cheesecake recipe made with greek yogurt and graham cracker crust. Pumpkin cheesecake bites are good Thanksgiving dessert. 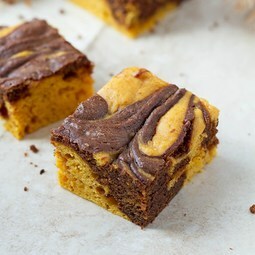 Soft chocolaty easy pumpkin bars swirled with brownies are perfect for the brunch, thanksgiving or fall party. Made with canned pumpkin and pumpkin spices.